If we believe that the most engaging people have eclectic interests, then Donald Hall is incontrovertibly our most engaging man of letters. Prize-winning poet, teacher, essayist, children’s book writer, Hall here reflects on some of the things he holds most dear: his family home at New Hampshire’s Eagle Pond, baseball, poetry, artists and writers named Henry (Moore, Adams, and James), trees, politics, graveyards, basketball, and reading out loud. Times. 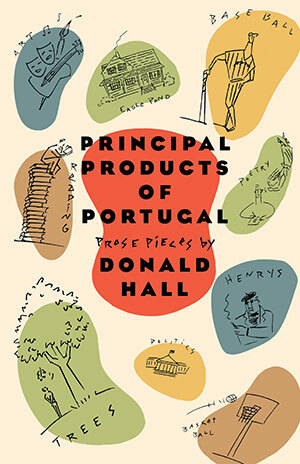 Principal Products of Portugal gives Hall’s readers a fresh perspective on familiar subjects as well as a deeper appreciation for the making of a reader, writer, and poet.